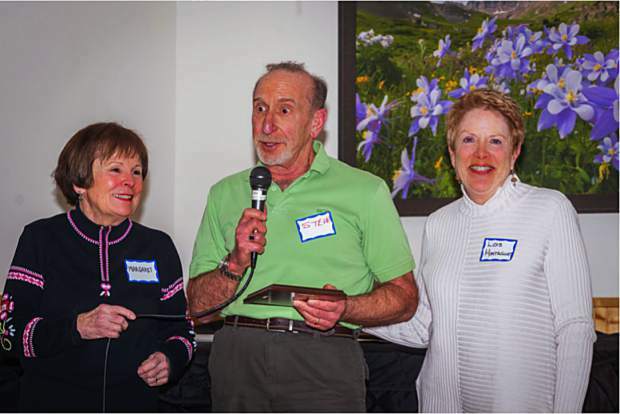 Affiliated with the Summit Country Senior Citizens, the Loosey Goosey Après Ski Group recently unveiled the winners of a few awards during its annual awards day ceremony. From left, Margaret Johnson Greene is shown posing for a photo with Steve Laden and and Lois Montague after Laden won of the group's Appreciation Award. Margaret Johnson Greene, left, and Catherine Hubble pose for a photo after Hubble was revealed as the Loosey Goosey Aprés Ski Group’s most improved skier of the winter. From left, Tim Orwick, Diane Rossi, Don DeVries and Margaret Johnson Greene pose for a photo after Rossi and DeVries were honored with the Nancy Macey Spirit Award from the Loosey Goosey Après Ski Group, which is affiliated with Summit County Senior Citizens. 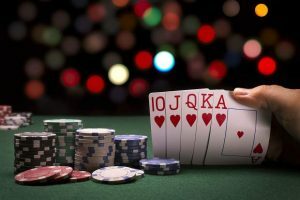 Affiliated with the Summit County Senior Citizens, the Loosey Goosey Après Ski Group recently unveiled its winners for a few of the group’s awards during its annual awards day ceremony. 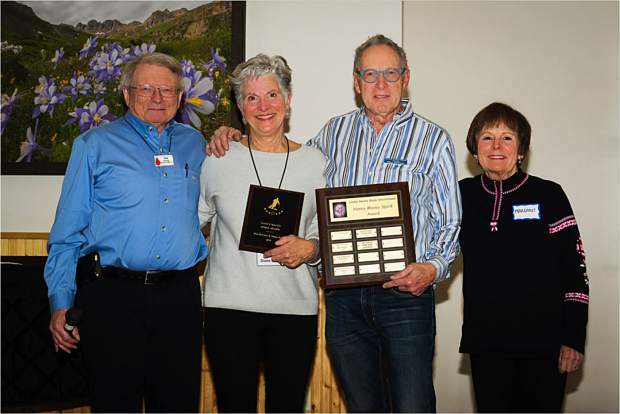 Chairwoman of the awards committee, Margaret Johnson Greene, announced the winners, including Steve Ladin, of Silverthorne, who won the Appreciation Award for his work to ensure the existence of Loosey Goosey when the Over The Hill Ski Gang International went out of business. 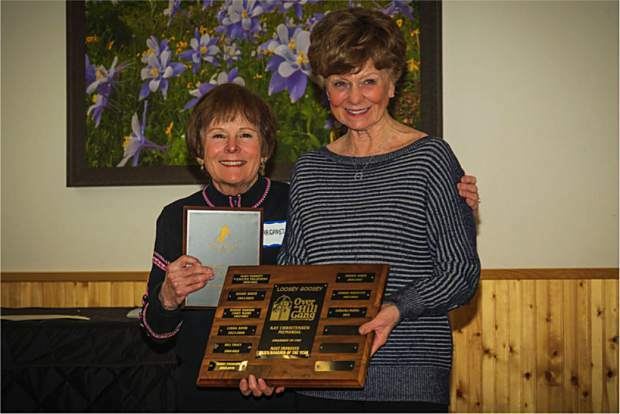 Additionally, the Most Improved Skier Award — given in honor of Kay Christensen, a late member of the group and ski instructor — was presented to the skier who worked to improve his or her skills over the season. This year’s award recipient was Catherine Hubble, of Frisco, who reportedly made great strides in her mastery of steeps and especially moguls. Given in honor of the late Nancy Macey, the Nancy Macey Spirit Award is meant for group members who best exemplify Macey’s friendly, inclusive, helpful and tireless spirit. This year’s recipients were Don DeVries, chairman of Loosey Goosey for over six years, and Diane Rossi, Loosey Goosey’s après ski party coordinator. In its 30th year, the Loosey Goosey Group has been meeting every Thursday during the ski season and hosting an après social gathering at the Summit Community and Senior Center to share ski stories and friendships.